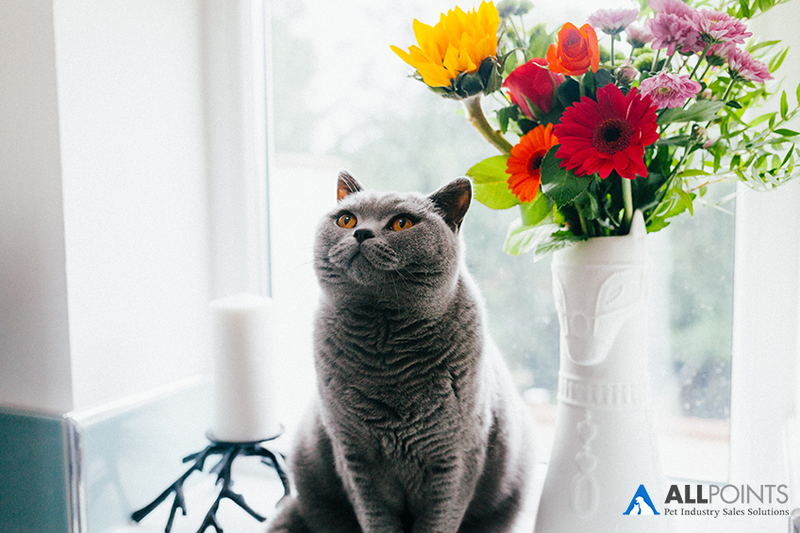 Disclaimer: As the topic of deceased pets can be sensitive in nature, this post is going to be a little different than other posts written on the blog. I'm going to discuss a difficult personal experience. Then, I will combine that with tips on handling these difficult scenarios with your customers. If you'd like to skip the personal story and head straight for the tips, scroll down to where it says "Supporting Your Customers." Just a few months ago, my cat began showing signs of health issues. She was vomiting, sluggish, and sleeping more than usual. I knew something had really gone wrong when I came home from an event one day and she was hiding in my bathroom cupboard. I rushed her to the vet and found out that she had kidney failure and a benign tumor in her lung. I was given prescription cat food and antibiotics and treated her with them for a couple of weeks. She got better within a few days and started acting herself again. Then, one day, her symptoms returned and I rushed her back to the vet. They took tests, let me bring her home, and I hoped for the best. The next day, I received a call from the vet a while at work. The kidney failure had gotten worse, and the only way she'd survive was to be put on IV for the rest of her life. My childhood cat, the one I'd grown up with through most of my childhood and early adult stages, had reached the end of her time at nearly 15 years old. I couldn't afford to put her on medications and I didn't want her to live out the rest of her life barely surviving just because I couldn't bare to let her go. I rushed home from work that day, doing my best to keep my emotions under control. When I got home, I looked into her eyes and knew it was time. For our last few moments together, we watched a movie with her on my lap through the duration of the film. In retrospect, I suppose it was selfish of me to put her through even a couple more hours of pain, but I couldn't help it. I was about to have my best friend put down; I needed just a little more time. When the movie ended, it took every ounce of strength in me to put her in the kennel and take her to the vet, who was located just down the street from my apartment at the time. When I got there, the nurse who had helped me with her in previous visits immediately gave me a hug. After a few minutes waiting, we stepped into the room where it all came to an end. She's no longer in pain. She's in a better place. She had an amazing life. Throughout the ordeal of my childhood cat's death, I set up an automatic subscription of her prescription food through a large internet retailer (Note: I went to a couple local pet stores who did not have it in stock and could only find it on that site). I had just received my first refill the same day I found out she needed to be put down. As I no longer needed the prescription food, I sent an email to the customer service department requesting to return the unopened box of food. They immediately responded to me letting me know they were processing a refund and that they were sorry for my loss, and requested images to be sent of her and shared around the office. I appreciated the support, and moved on. A week or two later, I received handwritten cards in the mail from their support team with their personal condolences. Although I didn't know her, one of the reps empathized with the fact that she had just recently lost her boy as well. I was taken aback by this; the fact that they had quickly and efficiently taken care of me previously was enough. However, they went an extra step further to do what they could to support me through this difficult time, even though I had never shopped there previous to buying that food. What I've learned from this experience is that working in the pet industry is different than any other industry; we get very close to our customers and their pets. That means when their pets aren't around anymore, things can get tough. Rather than avoiding the difficult conversations, there's a lot you can do to help make the situation even just a little bit easier for them. Using my personal experience as an example, the company chose to go the extra mile by sending handwritten condolences for my pet. Taking that extra step doesn't have to mean closing the store in remembrance and sending gift baskets in the mail (although if that's what you choose to do, kudos to you!). Even something as simple as a handwritten card can go far to establishing a relationship with your customer. Other ways to go the extra mile may include sending a custom item such as a personal drawing of their animal or something like a custom stuffed animal based on their pet. For custom art, find local artists in your community who might be interested in partnering with you to sell their services in store and provide the free service to those who have lost a loved one. You can also ask your customer if they'd be willing to have a photo of their cat posted on your store's wall or on social media as a sort of memorial. This way, the community can come together to sympathize and support each other. Whether you send a handwritten card or a custom stuffed animal, the key here is to forget about selling for a minute. This is not a marketing scheme; it's a way to build a real relationship with your customer. Once the relationship is built, they will be more likely to shop with you later on, assuming they have other pets to purchase for. Think about this: if you had lost a pet and someone sent you a coupon for 20% off your next purchase at "X Pet Store," would you feel grateful? Probably not. Leave the selling and marketing for later. For now, build the trust and the relationship and provide your team as a resource during this difficult time for your customer. Once all is said and done, take a moment to step away from your customer and let them grieve their loss. After a month or two, follow up with them to see how they're doing. If they have other pets, remind them about picking up their food. This would be a safe time to provide a coupon for any necessities they may need for their other pets. The key here is to leave them alone for a while to grieve without being bombarded with marketing messages. However, you don't want your customer to forget about you entirely. Send a gentle reminder that you're still there as a resource, whether to provide them with useful information or a bag of pet food. Of course, unless your job is a customer service rep at a large pet retailer, your time is precious and can't be focused entirely on supporting the loss of deceased pets in your community. One way to make this process work for your individual schedule is to find a way to automate as much of it as possible - except for the personalization. Getting a customer relationship management (CRM) tool is extremely useful for setting up reminders to yourself to write a note, send a follow-up, or anything else you need to know about the customer. You can also store their contact information safely so that you can refer to it as needed. We personally use HubSpot's CRM (they have a free one for small businesses! ), but here's a few other free options for you to review as well. Do you have standard processes for when a customer has lost a loved one? If so, what do they look like? Feel free to send them to us and we may include them in the article.